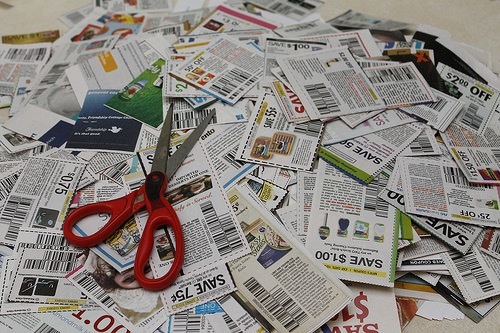 Extreme Couponing—you either love or dislike those words. At one time or another, we all wish we could be like the shoppers on the television show “Extreme Couponing.” However, becoming an extreme couponer is easier than you think with the help of these useful tips. Before beginning your coupon hauls, it is important to get organized. Keep everything in order with a box or binder. A photo album works well. Use different sections for different items, such as food, cleaning items, toiletries, etc. Another way to keep coupons organized is with a coupon e-mail. Create a free account, either on Gmail or Yahoo. This way stores and brands can send you coupons to print out or upload to your store loyalty card. Get to know a store’s policy and manufacturer coupon policies before heading out to shop. Understanding the fine print will help you know what you can and can’t do for coupons, such as how many coupons you can use per item. Each store and manufacturer is different. Know before you go. You can also join loyalty programs for stores. Sign up for e-mail offers, exclusive coupons, and special deals. It never hurts to have a store card to slip on your keychain to use. Some stores have kiosks near the front where you can scan your card for extra savings. Get technologically-savvy when looking for coupons. Apps, including coupons.com, Saving Star, and Retail Me Not, are great places to look for money-saving offers. You can also download these apps onto your phone, which makes it convenient when you go shopping. Websites are another great resource to look for extra savings. Groupon.com, LivingSocial.com, TheKrazyCouponLady.com, and Coupons.com offer a variety of deals, from trips and restaurants to grocery and retail stores. Also, you can set the location settings for your city or surrounding areas. A simple Google search for coupons can help you save, as well. Always carry coupons with you for unplanned shopping trips. Keep a small pocket file in your purse, bag, or car with coupons for items you use on a regular basis. That way you’ll never be without a chance to save money. Some stores will allow you to use their coupon as well as a manufacturer’s coupon on an item. This is where knowing the different policies comes into play. Only buy items for things you use. Otherwise you are wasting money. This can be hard to do, especially when there is an item at a great price. However, hold yourself back and know it is better to save money on things you will get a “return” on. Buy items in bulk. Paper towels, toilet paper, dish or laundry soap, are items you use consistently. You will get a better return on your money, because then you won’t be dashing out to the store every time you run out of the item. You may not want to hear the word “stockpile,” but sometimes creating a stockpile on everyday items is the best way to save. However, know when to stop purchasing the items for a while. Know when you have enough shampoo, soap, etc. If you keep buying these items, and you don’t need them, you are wasting money. If you still feel the need to buy the item, donate it to a local organization or charity. Some stores allow overage, which can be defined as shopping for free. This occurs when you receive cash back, have a gift card or have the remaining balance applied to your purchase because the total falls below $0. Unfortunately, most stores don’t allow overage. This can be found in their coupon policy. Lastly, watch coupon expiration dates. The Sunday newspaper is a valuable place to get coupons; however, you have to be careful they don’t expire within a week or so. Also, some coupons coordinate with the different seasons. Summer items will be on sale more likely during the summer than winter, and vice versa for the other months. This entry was posted in Uncategorized and tagged budget, coupons, extreme couponing, hallmark home and family, money, money saving, news, saving money, today, today show, today show nbc by METAYLOR. Bookmark the permalink.